The Iraqi parliament named moderate Islamist Sunni politician Salim al-Jabouri as new speaker on Tuesday, state television reported, winning an absolute majority of votes from deputies, in a move that was praised by the United States. Live television footage broadcast from inside the parliamentary chamber showed the 43-year-old Jabouri being congratulated by other lawmakers. Juburi won 194 out of the 273 votes cast, with most of the rest deemed invalid and only 19 going to his only rival, an obscure candidate elected to parliament on a secular list. Lawmakers remained in the chamber after the vote to elect two deputy speakers. 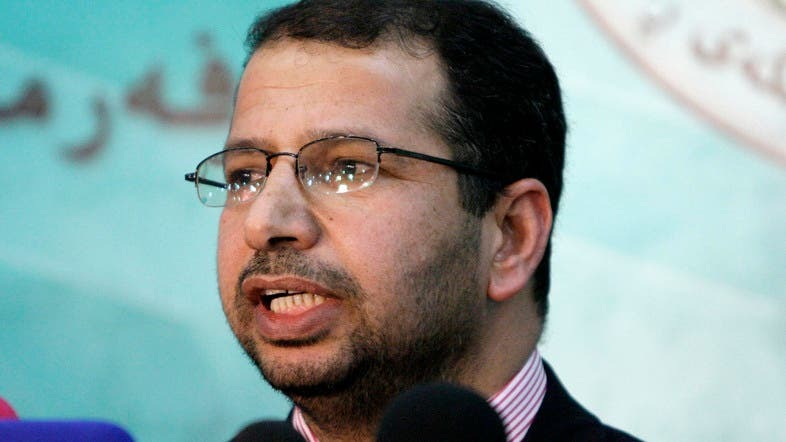 Al-Jabouri -- the deputy secretary-general of the Islamic Party -- worked as a law professor at University of Mesopotamia and was a member of the constitution drafting committee. 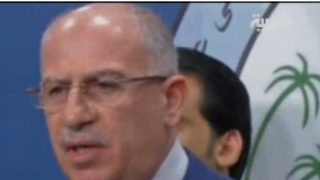 He also serves as head of the human rights committee in the Iraqi parliament. 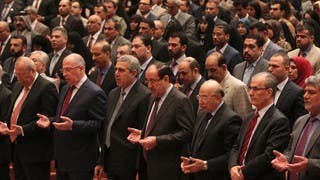 The position of speaker is the first of three leadership posts which Iraq's divided Shiite, Sunni and Kurdish politicians were seeking to agree, three months after a parliamentary election. The other two posts are the presidency and the prime minister. There was no immediate indication whether the agreement on Jabouri as speaker was part of a wider deal to break the deadlock over Prime Minister Nuri al-Maliki's ambitions for a third term. The speaker presides over an institution that has consistently failed to fulfill its duties and whose powers are dwarfed by those of the prime minister. U.S. Secretary of state John Kerry congratulated Iraq on the election of Jabouri. “We congratulate the Iraqi people on the election of a new parliamentary speaker … The election of a Speaker is the first step in the critical process of forming a new government,” Kerry said. “Iraq faces an existential threat and Iraq’s leaders need to confront that threat with the urgency that it demands,” Kerry added, highlighting that the U.S. would remain a steadfast partner in support of their fight against the Islamic State of Iraq and Syria (ISIS). ISIS is a Sunni militant group that overran Mosul last month and swiftly took control of much of the rest of Nineveh, as well as parts of four other provinces north and west of Baghdad.